The Humboldt Bank Building is located at 785 Market Street in San Francisco, CA and was completed in 1908. This building was designed by Frederick H. Meyer and stands 244 feet tall with 19 floors. 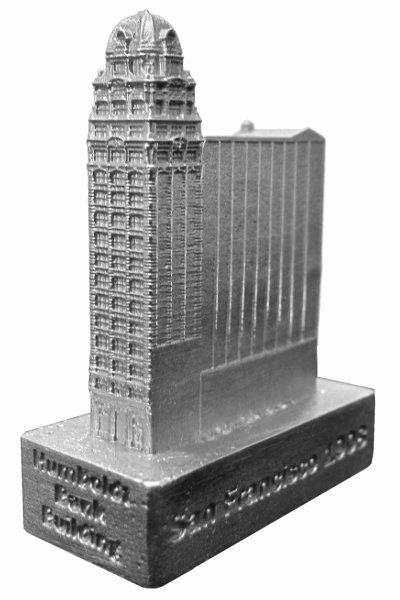 This pewter replica stands 2 inches tall and is finished in new pewter. This model's scale is 1 inch = 150 feet.